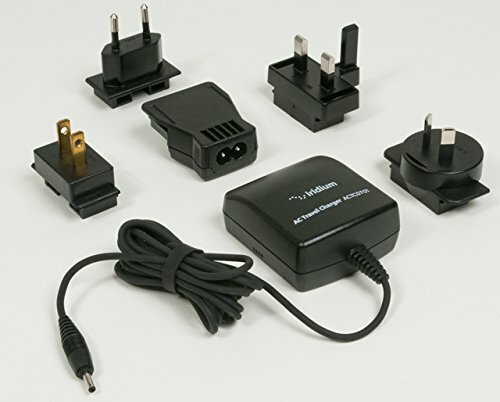 The Iridum AC Travel Charger (Iridium Part Number ACTC0401) is made for the Iridium 9505a, 9555 and 9575 Satellite Phones. Charge your satellite phone in your home, office, or anywhere with 100V to 240V input. Four international adapters included. Your battery will be fully charged in about 3 hours 15 minutes. • Charge Time to 90% capacity: 3 hours when charged in a 9505A handset at 25°C (77°F). • Operating temperature: Between 0°C (32°F) and 40°C (104°F). • Fast charge complete in about 3 hours 15 minutes. Fast charge complete in about 3 hours 15 minutes. If you have any questions about this product by iridium, contact us by completing and submitting the form below. If you are looking for a specif part number, please include it with your message.